This program presents the story of one worker’s struggle with his own “inner voices” that encourage him to take better care of his hearing. As of December 2001, The Centers for Disease Control and Prevention reported 57 documented cases of U.S. healthcare workers who have had seroconverted - developed antibodies - to HIV following occupational exposures. 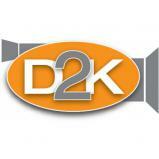 Twenty-six of these developed AIDS. 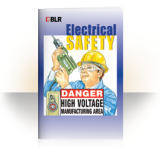 This 16-page illustrated electrical safety training booklet educates employees on the dangers they face from electrical shock and fire. 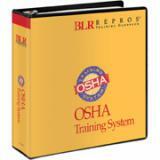 Booklet includes important safety tips to make your workplace safer and your employees more prepared. 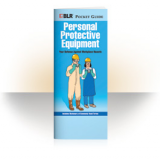 This training tool covers OSHA's PPE standard, matching PPE to identified hazards, getting a good fit, choosing and using the right PPE, inspecting and caring for PPE, and much more. 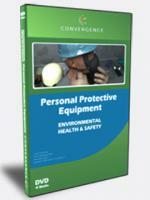 Let this helpful guide train your employees on the RIGHT way to use PPE. Eye Protection (Foundries) program covers eye hazards and types of eye protection with emphasis on safety. Nature has tried to protect the eyes from injury by providing us with a number of built in devices. Fit Testing under New NIOSH Standards program explains the new rules and procedures for proper fit testing of respiratory equipment. 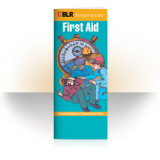 In this handy pocket guide your employees will be trained on proven infection control procedures--a vital part of health care. 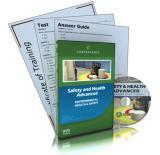 This is a chemical and protective clothing refresher safety course. Steam is used around the world in many different ways. 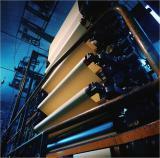 In industrial environments, it is commonly used for power generation and in heating and drying applications. Respirator Selection focus of this program.Anyone wearing a respirator must be trained and authorized by the company in several different areas such as how to put on and take off the respirator. Grinding and Abrasive Wheels program provides the viewer with information on the proper use and operation of grinders in a safe manner. There are a variety of jobs in foundry operations in industries requiring the use of grinders.